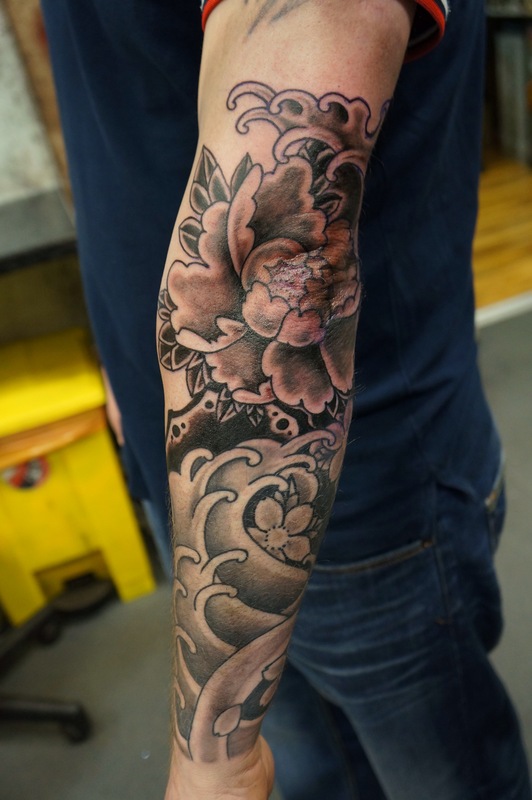 This entry was posted in custom tattoo, glasgow, japanese tattoo, tattoo glasgow timeless roddy mclean custom tattoos japanese traditional black n grey, tattoo sleeves and tagged besttattoos, botan, horimono, Irezumi, roddymclean, tattoosleeve, water, wave, yokai. Bookmark the permalink. ← Tiger back-piece begins !